A change of season means a change of wardrobe and the same switch applies to your skin care routine. As cold winter air can hold less water, it’s a lot drier. In a bid to achieve balance, it attempts to draw moisture from everything around it, including your skin! This is why your skin feels a lot drier in the chillier months and requires a more intensive moisturiser. Still, this doesn’t mean having to use something with a thicker, heavier - not if you shop smart! Today’s most innovative hydrators contain hardworking humectants, ingredients that can bond to the water molecules in your skin. A great example is hyaluronic acid. It occurs naturally in your skin and can bind to up to 1000 times its weight in water to moisturise and plump from the inside out. Many of our favourite hyaluronic acid serums are feather light so you can wear them underneath the moisturiser you wear in summer. This way, you can dramatically bump up your hydration-factor without adding any heaviness. Just two of our top picks include Lamelle Correctives Hydrating HA Serum Plus and SkinCeuticalsHyaluronic Acid Intensifier (H.A.) serum. Certain lasers and peels can do a brilliant job of removing the uppermost layers of your skin. The result is a brighter-looking, more evenly toned complexion, but the process can increase sun sensitivity. For this reason, scheduling them in winter is best. At Skin Renewal one of our most effective skin resurfacing treatments is CO2 Laser SkinResurfacing. Exfoliation aside, it also stimulates the regeneration of healthy tissue. This makes it a top winter pick to diminish wrinkles and moderate pigmentation. Afterwards, you should avoid sun exposure for a year but especially so during the first few months post-treatment. This makes the chillier months the ideal time to heal. 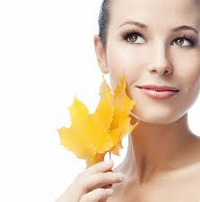 As far as peels go, we’re pros in that department too and offer a wide variety that ranges from gentle to intensive. For example, if you were struggling with acne, you’d benefit from a series of gentle yet effective Beta Hydroxy Peels. However, if you were wanting to tackle something a little trickier, like stubborn hormonal pigmentation, you’d require a 3D solution like one of our Melasma & Deep Pigmentation solutions. These are packages of several treatments including more powerful peels that enhance each other’s effects for a superior result. Proper nutrition is essential to healthy-looking skin and wellness so getting enough of what you need to survive colds and flu season is vital. This is why immune-boosting vitamin C should be a winter staple. Good food sources include red peppers, citrus fruits and cruciferous veggies like broccoli and cauliflower. You could also use a supplement like MSM & Vit C Powder. Aside from vitamin C, it also contains anti-inflammatory MSM (methylsulfonylmethane) that can help calm eczema, a condition that tends to flare during the colder months. Another great winter-time supplement is vitamin D. A lack of sunlight in winter plus a growing awareness around the damaging effects of unprotected sun exposure have seen an uptake in vitamin D deficiencies, even in sunny South Africa. Fatty fish like salmon, eggs, dairy products and mushrooms are all excellent sources of vitamin D, but if you’re already deficient, you won’t be able to correct your deficit via an improved diet alone. In this case, your doctor might suggest a supplement like Lamelle OvelleD3. It contains vitamin D3 plus Pycnogenol, a super antioxidant that can protect your skin’s collagen supply and improve hydration via increases your skin’s hyaluronic acid content. A winter must! If you’re someone who enjoys exercising outdoors, then winter can put a dampener on how you like to burn kilojoules. Still, it’s important that you roll with the punches. Did summer see you running before or after your 9 to 5, but now you don’t want to do it in the dark? Consider using your lunch break! This is something a treadmill can solve, be it at home or the gym. Many health and fitness centres offer month to month contracts, so you don’t have to be a member all year round. You could also sign up for a series of private indoor classes like Pilates or CrossFit. Wild weather aside, it’s harder to stay motivated in winter. You’re bundled up, so you don’t feel as much pressure to remain in shape and the desire to ‘hibernate’ makes it’s so much easier to hit the snooze button. This is why it’s a good idea to muster up a little extra motivation in the form of a workout buddy. Still, if you feel like you’re not burning as many kilojoules as you’d prefer, consider our incredibly popular The Renewal Institute Diet (the RID). The RID isn’t just another low GI diet. It’s enhanced even further thanks to supplements and human chorionic gonadotropin (hCG) injections and is administered by our medical doctors who guide you every step of the way. If you fully commit, women can lose between 5 to 6kg a month while men can lose between 7 and 8kg a month! Talk about a summer body being made in winter! Taking good care of yourself is a year-round affair. With simple changes to your skin care routine, the addition of a few cleverly chosen supplements and a commitment to healthy eating and fitness, you can enjoy a winter of wellness. For a little help with any of the above or to book one of our skin-rejuvenating, radiance-revealing in-office treatments, make an appointment to chat to one of the Skin Renewal doctors today. Together, we can help you look and feel your best, regardless of the season.